You can increase website traffic all that you want but if there isn't anything on your site that a person can click on to buy then how are you going to make any money? Lately I have had more than a few Friends private message me saying that they haven't made any money at all and would I look at their site. After looking at their site I see that there are in most case little or no clickable pictures, links or banners anywhere on their site. Their content looks good and they say that they are getting traffic but making no money. The good news is that since they have great content and have increased their website traffic monetizing shouldn't be a problem. 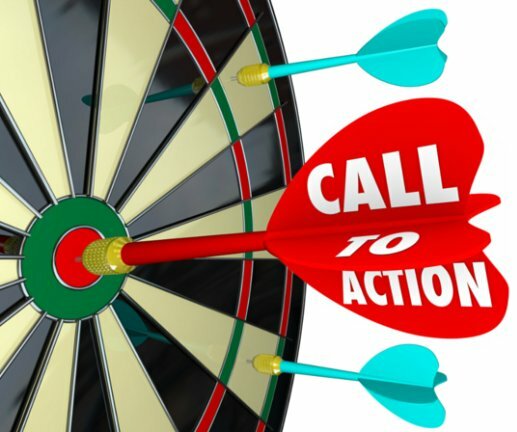 Add a banner, call to action or at least an email opt in and you should be able to start generating some income. If you have increase your website traffic and have great content but don't monetize then you are absolutely sure to never earn any money. Is there a lesson on opt ins and CTA buttons? Now that I will have more time to work on my site, I need to get some of these things done! Awesome to hear! Thanks again Tony! Good advice Tony, monetising should be the first thing that we are aiming for, along with useful content! Conversion, how do you convince the visitors to buy ? people like free content, people buy when they need something to solve a problem and they can not get it for free. Great advice. Thank you Tony. Yeah, that is the point of all this, making some income. Very good point, Tony. This type of training should be a reminder to visit our own sites pretending to be a new visitor and see what value is built in for online quality. Thank you Tony. Just did that. So true. It's something to pay a lot of attention to when choosing your niche and some people seem to overlook that. Seems like a necessary thing in order to make money with your website, but I know the obvious is often lost on me. Thanks Tony. Thanks, Tony. A really good advice. Oh thank you for sharing about this! This is great information. I haven't even start building a website! I need to get going on so I can generate $$$$. Absolutely, true, Tony. That's the purpose of our websites. To monetize but with useful contents. I think on my new site, which is barely 6 weeks old, I have too many links....u think google will punish me? i really don't know! how long did it take you to get through those? It took me awhile! no visual editor for 6 months, took me a lot longer than it should have! Thats ok, it took me WAAAY longer as well. When I was brand new I thought I'd fly through the courses like Jack Flash, LOL.. Not the case, it takes time! How many pages/posts one should have in a website for rankings in Google. Is it necessary that all my pages should have low QSR? I think the more posts that contain quality content helps to rank high since it indicates the age of the domain since an older site is trusted more. I am not sure if it is necessary for all your pages, but in my understanding, it is best if your pages have low QSR since it an indication of your competition. Hi Tony - question for you? I've heard that it is harder to get your site rankings up in Google if you immediately start adding affiliate links to a new website. Do you agree with this? If so, at what point should someone start adding in affiliate links? Hi, Nick. As long as your content is good and you're offering a professional stance on the topic, Google shouldn't penalise you for adding Affiliate Links. That's true, Tony. Thanks for sharing this valuable info. Thanks for the great tip, Tony! Words of wisdom, as always. Thanks, Tony. that's what our websites all about - to generate money from it. Hope could make it one day after finishing the basics of my websites, I'm sure it will with the help of the community and of the trainings here. Well put! I'm trying very hard to provide links to products that target my specific topic discussed. I think it's important to make sure or at least try your best to make the links on your site relevant to your topic. In my eyes, this makes your site more genuine. I think it's annoying if a page has clutter links totally unrelated to what's on it. But, I definitely agree one needs links in order to generate income! Actually I would love to here more insight from you guys. Would help me so much! People arent coming to your site specifically to buy something. If I want to buy something I';ll go to Amazon. They're coming to your site for good information. Information they wont find elsewhere or information that's better than they'll get on other sites or answers specific questions that they have. When you make a site you're making it to provide solutions to a problem someone has. Not specifically to sell something. Then where do I sell my coaching programs? How? You sell them on your site. But that will only be possible after you have given people a lot of information for free and they trust you. Give away a sample / free course in order to grow your email list. Get your content on authority sites & Facebook groups in your niche so people start to recognise your name. But at first dont try to sell anything, just get known as someone who knows what they are talking about and who's articles should be read. My site is monetized, and i think my content is good. So far, I have been getting a lot of wonderful feedback and comments. However, despite having links to some viable and relevant products for my niche, I would have to say results so far are underwhelming. Nevertheless, from past experience, I have learned that it takes much longer than a few months to generate income. so I'm just going to chalk it up to the fact that it's still too soon to expect it to earn a lot of income just yet. You're absolutely invited to take a look if you have the time. I just added a couple of new posts, so it's growing slowly but surely. If you go to my profile, you'll see it listed at the top of my website list. Rhymes with "Buff More Maybe Rumors" Though I do not have a banner at the top of my home page, because I want my site to be about the content, there are ad banners in the right side panel and on most other pages placed strategically throughout. Good post, as usual. Thanks! I will follow your advise when my site is ready..Thank you. I have been holding off on this because I didn't think my site was ready. However, the time has come and i will be doing that over the next few days. Should there be a limit on the amount of progrnams one joins? Excellent points Tony. Thanks from a Newbie. Thanks for the enlightenment, God bless you. I think sometimes we're afraid to ask our web visitors to buy something. We don't want to be "that guy". Well, guess what? We ARE "that guy", and there's absolutely nothing wrong with being "that guy". I heard a well-known marketer say (I forget the name), and I'm paraphrasing here, "The way to get rich is to help as many people as you possibly can, as often as you can. And when they show up...bill 'em!" The only thing I would change about your excellent post is I'd definitely reverse the order of your suggestions: "Add an email opt-in, a call to action, or at least a banner...". Of course, you still can't be afraid to "bill 'em"! We add the banner first in that we are calling them to action, to click on it. Then, we asked them for their e-mail. Am I thinking wrong? First, let me be clear that I'm not disagreeing with Tony. His point is that we must monetize our site, and he's right. I'm just advancing the conversation on ways to do that. Tony's a successful marketer well worth listening to. I do. He just made a central point and let the community build on that point. My 15 years in the business and my working with thousands of solopreneurs tell me that the most important asset - in other words your biggest money-maker - is your list, not your website. So your main goal in driving traffic is building your tribe. Your main goal in building your tribe is income and wealth-building. Selling to cold traffic is hard. Conversions are low. Once they leave, they are lost. If you're an affiliate, you don't even get an opportunity to upsell. You're building the vendor's list, and thus their business, not your own. Trust me, they will make a lot more money from that customer than you will, even if they pay 100% of the first sale to you, which some do...even more. You want to build a list. Then you can contact them any time you want, regardless of what Google thinks of your site. You now own the traffic AND the marketing channel (email). As I said in my original comment, "Of course, you still can't be afraid to "bill 'em"! I agree with you. Maybe I should get your opinion on my site. 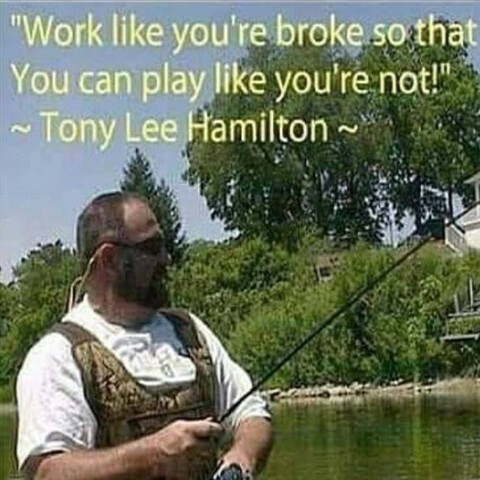 That is a gem of wisdom Tony, so many lost opportunities. Without sounding mercenary websites are about selling or promotions, the cold hard truth. Thank you for the reminder. But no new buyers but I am still smiling !!! Thanks Tony, for this blog post. I am trying to do this with my website. Also, I need to add more content on it.